The details for the upcoming 2018 Reunion for the Family and Friends of the 508 Parachute Infantry Regiment were recently released. The annual reunion that honors the legacy of the Veterans for the 82nd Airborne is in Fort Walton Beach, Florida. The dates for the reunion are October 31, 2018, to November 4, 2018. This year’s reunion marks the 50th Anniversary for the Golden Brigade in Vietnam, the 35th Anniversary for Operation Urgent Fury in Grenada, and the 15th Anniversary for OIF Operation Northern Delay in Iraq. The reunion will honor all former paratroopers of the 82nd Airborne as well as active duty service members. 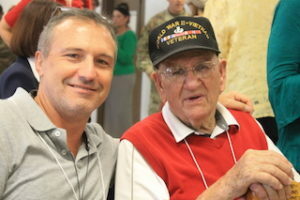 Typically, Veterans from World War II, Korea, Dominican Republic, Vietnam, Grenada, Iraq, and Afghanistan attend the reunion. Naturally, the Making History Project is planning on attending this fantastic event. To sign up to attend or to learn more, visit the 508 P.I.R Reunion Site. On October 20, 2017, the 508 P.I.R. of the 82nd Airborne performed a commemorative jump for the Family & Friends of the 508 P.I.R on the 75th Anniversary of the Airborne. 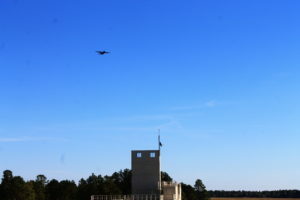 Present and observing were paratroopers from the conflicts of WWII, Korea, Vietnam, and Panama. I was also present and fortunate enough to win a silent auction for the signed jump flag from that day. All paratroopers that jumped signed the flag. 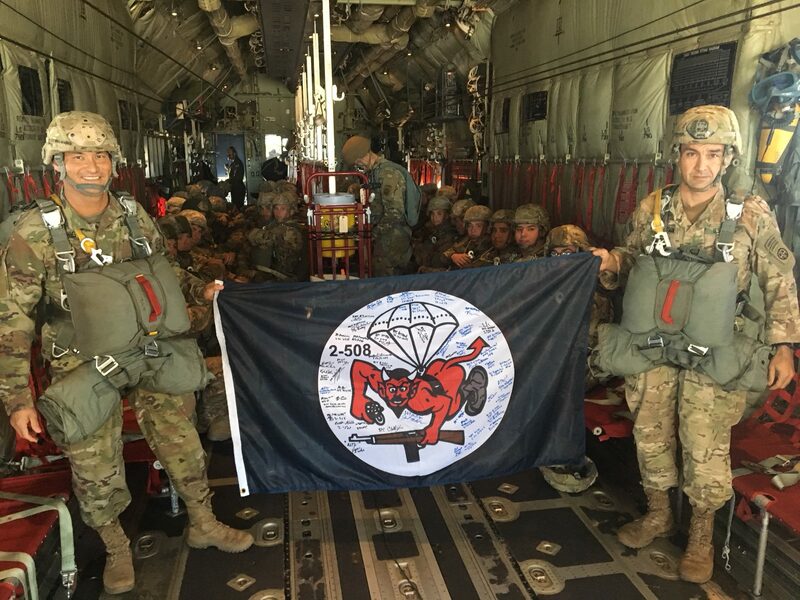 Below is a picture of the signed flag as held by Lt. Col. Browning and CSM Donaldson right before they jumped.